2 graphic stickers are supplied. One for each side of the boat and these are mirrored so they look the same on each side of the boat. 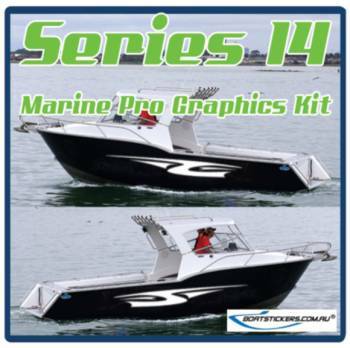 These graphic kits are popular with boat owners who want to add some nice graphic additions to there boat. These graphics are perfect for anyone that wants to add some cool graphic features to there fishing boat. These are also great for someone that is selling a boat and who wants to add more dollar value. Over 14 popular designs which can be made in polymeric vinyl or our popular Cast Vinyl from 3M. Please visit our boat stickers boat stickers shop. 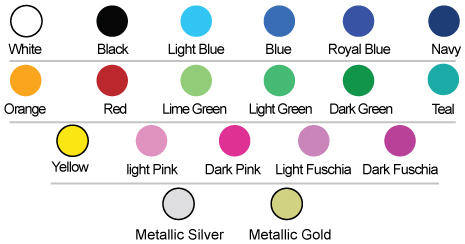 for other products. We can also make custom designs to suit. These stickers are very easy to install and installation instructions are provided. 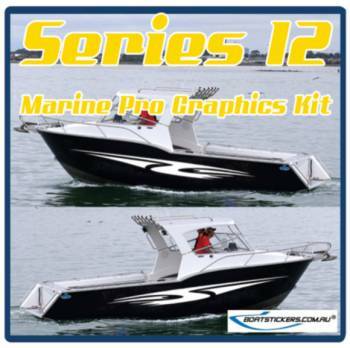 Click here to go back..
© 2008-2018 boatstickers.com.au ® website concept & design, all rights reserved. Products are available to Australian & New Zealand Residents.